Every few months of each year we do lists of what we consider to be ten of the biggest games on each system that are still on the way. We recently shared a Wii U list for this quarter and, just like in that case, we're going to do one list for 3DS. In our Summer editions we had separate retail and eShop lists but, with a number of games out already, it makes sense to have one list of games we heartily recommend. Remember this list represents games yet to come out (at the time of writing), with the aim being to show some quality titles that could grace your 3DS in the next few months. While there are some attractive retail games, it's rather extraordinary how many are due in Q1 or the first half of 2016. To name a few of the top of our heads, games in this category include Fire Emblem Fates, Mario & Luigi: Paper Jam, Hyrule Warriors Legends, Final Fantasy Explorers, Project X Zone 2 and, yes, Metroid Prime: Federation Force. We've no doubt missed a few more - and had to leave Mega Man Legacy Collection out of the list following its delay - but that shows how packed the early part of next year is for 3DS gamers in the West. Beyond that, the 3DS has some frustrating discrepancies between North America and Europe; some games will be listed below that are important Holiday releases in NA but aren't coming to Europe until early 2016, and the EU has Atlus games on the way that are long since out in NA. We don't have to like it, but that's the way it is. As always we've also found room for some eShop titles, and overall there are some pleasing titles on the way that are expected this year. So, let's get to it. Announced during this year's E3, this incorporates the game engine from The Legend of Zelda: A Link Between Worlds in a co-op experience very much in the style of Four Swords. In this case three players tackle dungeons together - though single player is an option - either locally or online, with the gimmick being the use of a totem mechanic to reach higher levels. We had some concerns about this as a solo experience in our recent preview, but it's undoubtedly an important upcoming release for the 3DS. A surprising E3 reveal, primarily due to the fact Chibi-Robo! is getting its own retail release and amiibo in the West, and also as it's a fairly conventional platformer. The little robot does use his plug extension in various ways as a whip, and this is certainly high on the charm stakes; though it is loveable we nevertheless gave it a modest recommendation in our review. It's a major 3DS release, however, and we're cheekily squeezing it in (at the time of writing) just before it hits stores in North America. Dragon Ball has had a big year in the West with successful releases on Sony systems, in particular; this 3DS fighting game will have a whole load of characters to choose from and a story mode to tackle. Intriguingly, some bundles and pre-orders include a 3DS download of the Super Famicom (SNES) Japanese version of Dragon Ball Z: Super Butōden 2. A rare case of a release coming to Europe with no indication - as we write this - of when it'll come to North America. We were big fans of its predecessor on the 3DS, and with amiibo support joining a load of new outfits and challenges this is sure to please those that enjoy some fabulous fashion. Some may snort in derision at games like this but gaming is for everybody, and this could be a great title for its target audience. Image & Forms's follow-up/spin-off to SteamWorld Dig is almost upon us, and the 3DS is the lead platform. It brings skill-based 2D strategy to the table, as you raid and attempt to loot ships full of dangerous foes. We recently shared extended hands on impressions of the game, and for strategy fans this is certainly one to watch closely. Oh, and the robots wear hats. Still due this year, this is an enhanced remake of the DS retail release, with promised improvements to gameplay, 60FPS performance, autostereoscopic 3D, new difficulty settings and enhanced visuals. The 3DS isn't graced with many tense, atmospheric horror games, so we're hopeful that this one will scratch an itch for that genre. This certainly adds diversity to the list, as it's an app in which aspiring game makers can teach themselves to use BASIC, in the process using all of the available tools to make their own 3DS games. This will expand upon the features in DSiWare title Petit Computer and include more tools, assets and capabilities, which means programmers should be able to create and share some fun and innovative games. Stella Glow should have been in the top 10 (added here two hours after the article went live), but we just missed it when compiling our list for publication. It's out on 17th November in North America, and is certainly worth following closely. Likewise with The Legend of Legacy, a 13th October release in North America (due next year in Europe). So there you have it, ten games (and honourable mentions) that we think are worth following on the 3DS. Some in Europe will have to wait until next year for a few of these; we're pretty sure the first of these lists in 2016 will be an absolute doozy. Let us know which you're most looking forward to in the poll below (you can choose up to three options) and, as always, in the comments. I keep on forgetting about Mystery Dungeon/ Chibi Robo... time to add more stuff to my wishlist! Once Style Savvy 3 is announced for NA it will be my most anticipated title. And I'm not even joking. Not really excited for anything releasing on 3DS for the rest of the year, although I'll probably pick up the Mutant Mudds expansion. That's fine. Gives me a chance to work on my extensive PS Vita backlog. I really want to see what all the hubbub is about Yo-Kai Watch. That's really the only retail game I'm interested in for the rest of the year. Tri-Force Heroes is a strict maybe for me, I'm just not sold on it. Also, SteamWorld Heist, day one. Can't wait for Super Mystery Dungeon; have been eyeing it for some time now(one of my favorite spin off series)! Also interested in seeing how Dementium plays on 3DS with the improvements. They sure do make SmileBasic look like a lot of fun. 3D Sonic the Hedgehog 2!! Did you seriously leave Stella Glow, Return to Popolocrois, and Legend of Legacy act out of even the honorable mentions but include a freaking movie-Tie in? The only game I'm semi-interested in is Chibi-Robo. I might get it sometime in the future, but not for a while. Other than that, none of those games interest me at all... kinda sad. Hmm, what will it be in the remainder of the year? Triforce heroes for sure, Picross 3D 2 and Rhythm tengoku the best (though I don't think they'll still arrive this year in the west). Maybe Chibi robo and/or Thearhythm Dragon quest (not confirmed for the west yet, though). As for Wii u: Xenoblade X and maybe Rodea. That's all. 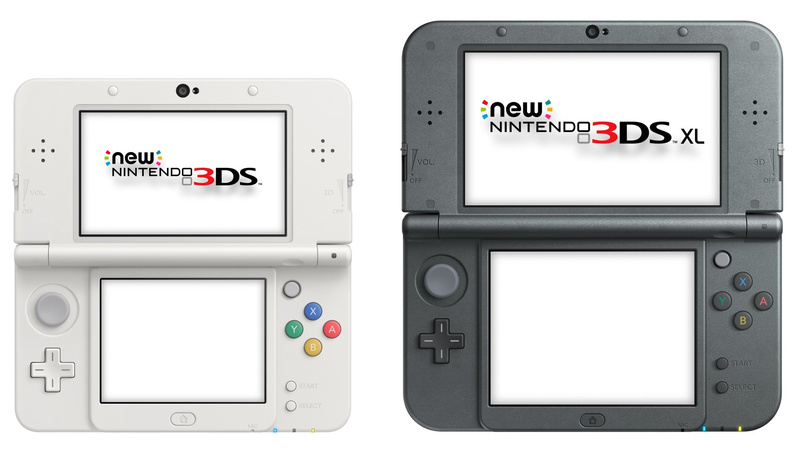 It's not the best year for the 3DS. I might have to go back and try some things I missed. Really hoping we get an announcement for Dragon Quest 8 soon. Super Mystery Dungeon, Extreme Butoden, and Triforce Heroes are definitely the 3DS games I'm most looking forward to for the rest of the year. Went with the "none of the above" option, but I'm not throwing the 3DS away. Aside from Majora 3D, MH4U, and XC 3D...only other game I plan on getting (hopefully) is Deep Crimson, which isn't even mentioned here. Ugh... Not much that appeals to me in this list. I'm not worried though. Still have lots of old games to enjoy, and SmileBASIC is something that I could happily mess around with for months. Jesus Christ, it really has been a terrible year for Nintendo. Only Zelda for me. Exactly, it is really hard to find something I really want this holiday besides Tri force heroes. Nothing really good at all, especially the WiiU. The only game I am planning on picking up is Triforce Heroes. I do have The Legend of Legacy and Steam World Heist on my radar, but it upsets me that there aren't any must have games for me on the 3DS this holiday season. Everyone keeps talking about how poor the Wii U's lineup is, but I'm feeling that more so with the 3DS (at least in terms of the games I am interested in). Pokemon mystery dungeon explorers of the sky was one of my favourite games so maybe ill get the new super pokemon mystery dungeon. Is Super Mystery Dungeon an action RPG? The trailer wasn't very clear. So far I'm only getting DBZ: Extreme Butoden, as I've got enough (3)DS games now to last me the rest of the year. I'm so excited for Girl's Mode 3 after watching that trailer. Other than that, I'm interested in Legend of Legacy and maybe Stella Glow. @ThomasBW84 Um where's STELLA......Glow? That's my pick for the remainder of the year. I keep forgetting though you guys won't see that probably for another year or so. I gotta say, the Peanuts game looks like some first class gaming to me. So much more worthy than Stella Glow or one of the other brilliant looking games that are coming out. That is all I need right there. Two of the best RPG's of the year (possibly even generation?) releasing on Wii U and 3DS this Q4. Not interested in anything this quarter. But I have a couple of other titles on my wishlist. Zelda. The end. Already pre-purchased Chibi Robo. Not too exciting in the Nintendo front as of late. Seems like this generation Nintendo died when Iwata passed. At least Heist got some love. Out of those games that was my pick. Not too keen on this Zelda but I'll probably end up getting some time down the road. Pretty disappointing list....Steamworld Heist is the only game here that has my interest. Wow. There isn't anything on the Q4 list that I'm interested in. Fire Emblem fates is definitely something I'll pick up next year though. I kinda want to try out SmileBasic, though it might be a tad overwhelming for me. Also the action game with Red Mage looks kinda neat too. Yokai Watch & Mystery Dungeon, but those are all coming in 2016 in Europe, so I guess nothing really holds my attention (no Triforce Heroes, because single player might not be great). Might pick up Butoden when I have the time though. Granted Q4 might be disappointing, but 2016 definitely has 2015 beat in 3DS games, including Fire Emblem Fates, Project X Zone 2, Hyrule Warriors Legends, Mario & Luigi Paper Jam, and of course Yokai Watch and Mystery Dungeon for the non-US people (though tbh, Fire Emblem Fates already does the job for me for next year). I feel like 3ds owner's are no longer important. Why can't we have more vc games? Why did i bother upgrading to the "New" 3ds? I shouldn't have bothered. @Spoony_Tech Oh darn, added a note. Likewise for Legend of Legacy. SmileBASIC is the only game on this list I'm looking forward to, but thankfully, it should keep me occupied for a long, long time! Triforce Heroes and Steamworld Heist are the only ones truly on my radar (though I'm not desperate for either by any means). Yo-Kai Watch is somewhat intriguing, and I've never played any game from the Dementium series; if it's something in the psychological horror department, I would definitely look into it as well. Sorry I fell asleep reading the article. Rodea is the only one of these games that I am interested in at all, and not even the 3DS version in particular. @Ralizah There is no such thing as an extensive Vita backlog, because the Vita has no games. @Dezzy I really hope we get DQ 8. I need it so bad. Well, I was interested in Tri Force Heroes, but then I read the preview and now I'm not. If it doesn't work well in single player and lags up in multiplayer, I have no use for it. @mjc0961 That's not how you spell "Wii U"
Mutant Mudds Super Challenge, Dementium Remastered, and SmileBASIC. Two Renegade Kid games! Also, I'm starting out with software engineering so I figure it wouldn't hurt to learn some BASIC. Also, I don't know why, but I'm just not even interested in Triforce Heroes. Usually, I'm always excited for Zelda games, but this one I don't even bother looking at new details that come out. I don't have anything against it, I'm just oddly not interested. I would vote Dementium, but knowing their record, we won't get it in EU anyway. This, (and your Wii U article), only highlighted to me just how terrible a situation the 3DS & Wii U are. Why is Dementium on the list? - because it will never release in Europe. Renegade Kid don't like us because we realise Mutant Mudds & Xeodrifter aren't worth £8 each. Where's Legend of Legacy and Stella Glow? Anyway, Yo-Kai Watch, Dementium Remastered and Steamworld for me. Stella Glow and Legend of Legacy for me! The Mystery Dungeon series is in my opinion the best video games series ever made, so PSMD is DEFINITELY being bought, although I will have to wait until Q1 of 2016 for it given that I'm in England. Tri Force Heroes looks good and I have a few friends who are big Zelda fans, so I'll probably pick it up to play with them. Chibi Robo, Pokemon, SmileBasic, and DBZ are pretty much the only ones I'm looking forward to this year. And if The Legend of Dark Witch Episode 2 is also coming this year, that too. This year for the 3DS, in my opinion, was okay. I'm pretty excited for Triforce, Yokai Watch, Stella Glow, Legend of Legacy, Steamworld Heist, & Super Mystery Dungeon but now my most anticipated 3DS game by far (although not confirmed for the US yet but come on) is Shin Megami Tensei IV Final. I'm soooo excited for that! Oh I forgot to mention Rodea the Sky Soldier. I've been waiting a long time for this one. But SMT IV Final is at the very top of my hype charts. God! While 2016 looks promising, 2015 is a total joke. Hmm, maybe the Zelda game. Not much else. Im really glad SmileBasic is in the list. What's up with the "and, yes, Metroid Prime: Federation Force" comment in the article? One of those butthurt, salty ones are we? I for one, am seriously looking forward to getting my hands on it next year. Devil Survivor 2 Record Breaker, actually. Just DBZ for me and maybe one between Triforce Heroes and Ziplash for 2015. @ThomasBW84 is SMILE BASIC coming to EU at all? 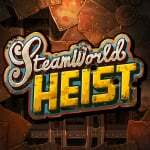 Will probably give Steamworld Heist a go. Not fussed about the rest. Have quite a 3ds backlog so will work on that. 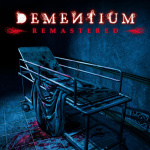 Has Dementium Remastered been confirmed for Europe yet? I would have included Moon Chronicles on the list since it's (hopefully) coming out in Europe this year and I've been excited about it ever since it was first announced to be in the works. Otherwise I'm sad to say but I'm only interested in Tri Force Heroes and maybe SmileBasic. Wow. I thought the Wii U was having a hard time of it. My 3DS will continue to gather dust then, the only worthwhile releases its had in 2015 have been remakes or JRPGs (and I'm not into the latter) and now it has a very weak holiday line up. At least there's a couple of big names in there even if on closer inspection they're spin offs, one of which looks decidedly ropey. Geez, a big fat "Nothing for me", i live in Europe, so the biggest titles on the list (Pokémon mystery dungeon and Yo-kai watch) aren't even going to get here this year! There's no mention of SMT DS2, which us European's are looking forward to and releases at the end of this month. Other than that it's a poor list IMO; it's all about Q1 2016 for me. Zelda would've excited me but the multi-player aspect is a massive turn-off. I voted for Dragonball, Steamworld Heist and Yo Kai Watch, although Yo Kai Watch isn't coming out til next year for me and there's Devil Survivor 2 option. chibi robo, pokemon, and throw 3ds away for me for me since I'm clearly wanting nothing. I'm mainly looking forward to the Hurule Warriors game on the 3DS as well as Legend of Legacy, other than that there are a few existing 3DS titles I'll be picking up in late 2015 or early 2016. I'd say in total there will be 5-6 more games I'll be adding to my library for Nintendo's little handheld wonder before I patiently wait the next generation of handheld gaming, but at least I'll have plenty of time to spend with my 3DS games before that happens. I am only looking forward to more themes to decorate my 3DS screen. Switching between themes is so much fun. Yokai Watch, Pokemon Super Mystery Dungeon and maybe Zelda Tri-Heroes. I'm genuinely surprised Yokai Watch is higher up on the votes than Super Mystery dungeon, but then again, I suppose it is a spin-off title. Triforce Heroes is bound to be good, I can't remember a bad Zelda game. I want Rodea too, looks fun and I like the giant bosses. Yokai Watch could be great and I'm really interested in that too. I hope Super Mystery Dungeon gets great reviews as I haven't played a Mystery Dungeon game since the first one on GBA. looking forward to chibi robo, pokemon super mystery dungeon, legend of legacy and dragon ball z. still have to pick up some other games that i missed like little battlers experience, hatsune miku project mirai dx and some others i can't remember. mext year i'm getting final fantasy explorers, fire emblem, return to polocrois, hyrule warriors legend, mario & luigi paper jam and a bunch of wii u games. Ironically it's only the two mentioned at the end that just "missed" the list that actually interest me. Although I didn't tick the last choice on the voting slip since I probably got a good 5 years worth of DS & 3DS games still to play. Steamworld Heist and Zelda are interesting but nothing i can get excited about. So i have to go with none. @wazlon I haven't played any Mystery Dungeon games, but looked into it yesterday and none of the MD got great reviews, they all hover around the 60%. 3DS new releases: Pokemon mystery dungeon will probably be kewl, awkward moving 3d bodies tho. Pikmin 4 MAY be released on it heres hoping that would be awesome. A 2D metroid would be great but blast ball will probably be more fun than people realize. There is a new mansion game with puzzles can't remember the name that looks very promising as well. Comon nintendo and release pod racer 64 on 3ds. @SuperWiiU By the end of the first MD I was getting really bored but made myself finish it. I'll only get the next one if it scores over 75%, so it looks like I won't be getting the game - I was just really hoping this one would be a lot better (well they did put the word Super in the title). Triforce Heroes, The Legend of Legacy, Stella Glow, Yo-kai Watch and Rodea is on my list. I'm in no rush though, so won't be day one, but will get it eventually. I think I'll get Rodea and Yo-kai Watch first however, to support poor Rodea and to know what the fuss about Yo-kai Watch. Good time for 3DS gamer! 2016 has a lot to look forward as well. Fire Emblem Fates, Bravely Second, Hyrule Warriors, Ace Attorney 6, and more. Who knows, maybe SMT IV Final or Monster Hunter X (hopefully) could be on 2016 list too! Looking forward to Legend of legacy , Dragon ball Z and Yokai Watch. That list is about as entertaining as sticking needles in your eyeballs. What an absurd list. It doesn't take a lot of effort to distinguish actual "big" titles for the 3DS from smaller budget games with smaller target audiences that may or may not even be good. May as well rename this article "A list where almost anyone can hopefully find some kind of game they like". Shütshimi, Steamworld, Dementium. In that order. I've given up on Triforce Heroes, which wasn't too difficult with Hyrule Warriors Legends on the horizon. Not the best lineup. There's plenty of games, but none of them are heavy hitters in the slightest, with the exception of maybe Pokemon SMD and wild card Yokai Watch. Same problem as the Wii U's lineup. These games make up good support titles though, and add to an already fantastic library. I don't know about you guys, but there's a ton of already released games that I haven't gotten to yet. I've owned a 3DS since launch day, and I still haven't caught up with all of the games that I wanted to get. 2016 is looking solid though, and honestly the best since 2013. Final Fantasy Explorers, Project X Zone 2, Hyrule Warriors Legends, Mega Man Legacy Collection, Mario & Luigi Paper Jam, Fire Emblem Fates, Bravely Second, Metroid Prime Federation Force, Sonic Boom Fire & Ice, and Mario & Sonic at Rio Olympics. Throw in possible announcements like Pokemon Z, and you've got a great lineup. Morbidly curious about that Snoopy game, but honestly I'll probably end up buying more of these as gifts than for myself (Dementium for my horror game loving fiancee, and probably Triforce Heroes for my Zelda-fan BFF...and also because multiplayer)! Super Mystery Dungeon looks great, but I've already put ~100 hours into Etrian Mystery Dungeon this Spring and I'm not sure I'm ready for more Mystery Dungeon. @wazlon Putting the word Super in a title does make things better, so let's hope Chunsoft deliver on it. The recent Etrian MD did score 79. Would love a plain white New 3DS. Not paying extra to get one with Animal Crossing. Can't stand those games. I think a lot of people are underestimating Yokai Watch.